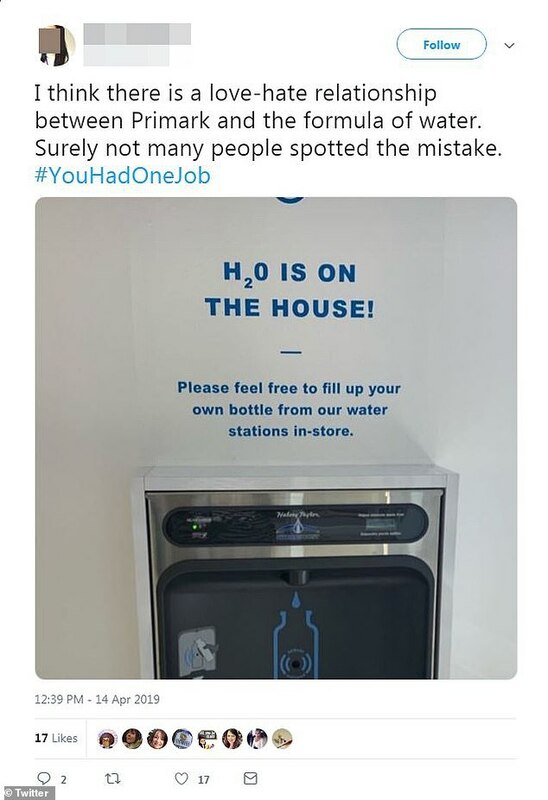 A chemistry teacher spotted a scientific blunder on a water dispenser in the world’s biggest Primark. 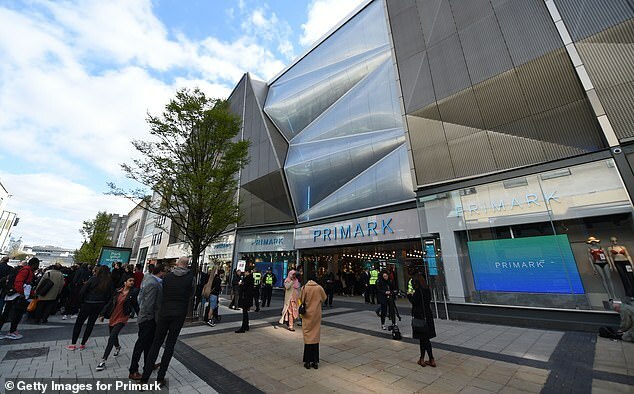 The teacher, from south west England, discovered the mistake in an Instagram story posted by the retailer featuring a picture of the fountain in the new Birmingham city centre store, which opened last week. 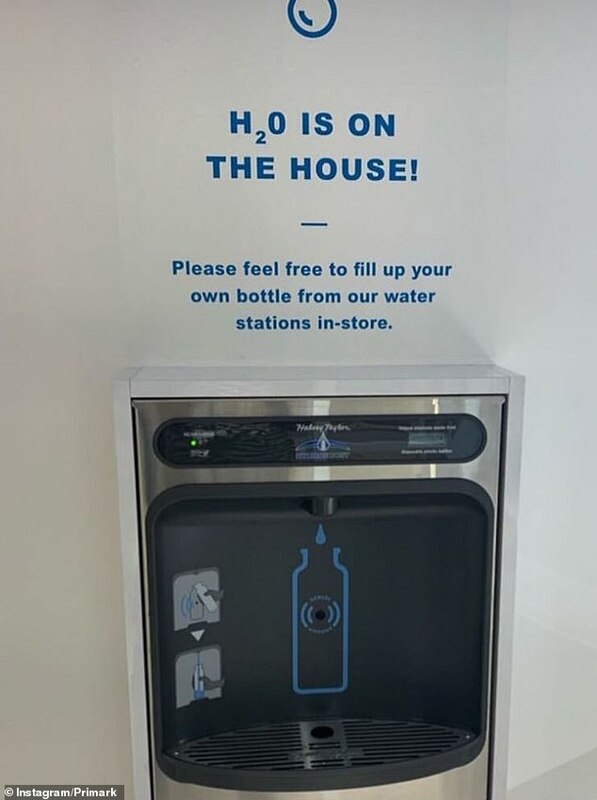 The dispensers, which are dotted around the five-floor, 160,000 sq ft building, claim ‘H20 is on the house’, encouraging shoppers to fill up their own water bottles as they browse the store. 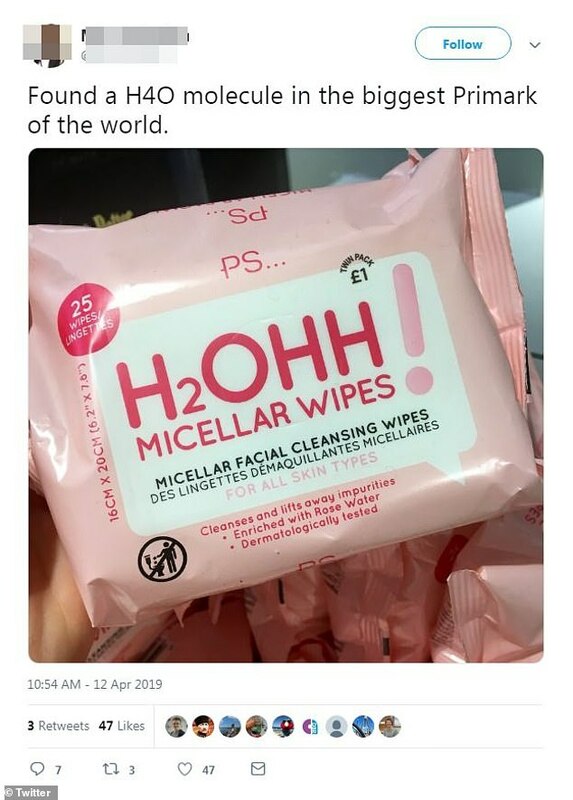 However, the correct formula for water is H2O – using the letter ‘o’, an abbreviation of oxygen, as opposed to the number zero. Her tweet received 17 likes – but many Twitter users struggled at first to understand what the issue was. A fellow teacher went a step further, joking that the incorrect formula suggests the water fountain dispenses H2, a gas which which forms when two hydrogen atoms bond together and become a hydrogen molecule. It’s not the first scientific error she spotted in the budget friendly retailer. It wasn’t the only gaffe to hit the brand new store. Hours after opening its doors to the public on Thursday, the shop suffered a power cut, plunging shoppers into darkness. It killed the party atmosphere as it cut the music and also froze the escalators for five minutes, making it tricky for shoppers to reach the higher levels. The power outage was apparently caused by a city centre issue, with other nearby stores also affected.